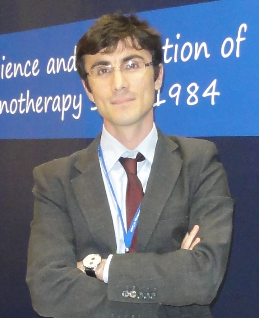 The Society for Immunotherapy of Cancer (SITC) is pleased to announce that SITC member, Marco Ruella, MD of the University of Pennsylvania, is the recipient of the 2014 SITC-EMD Serono Cancer Immunotherapy Clinical Fellowship Award. This award is the first of its kind offered by the Society. Congratulations Dr. Ruella! This year’s award was established through the generosity of EMD-Serono and is intended to support the development of the next generation of immunotherapy experts. Through this funding of novel research, the Society intends to cultivate those individuals who have a vested interest in furthering the clinical research and translation of cancer immunotherapy. The Society wishes to thank EMD-Serono for their partnership in offering this one-year, $100,000 award, as it comes at an extremely important time in cancer research. Dr. Ruella will be highlighted on Saturday, November 8, 2014 at the Award Ceremony to be held during the Society’s Annual Meeting in National Harbor, MD. (November 7-9, 2014). Dr. Ruella will also speak about his fellowship experience during the Professional Development Session held on November 9th, as part of the SITC Annual Meeting & Associated Programs.